Product code: R864 Categories: Sold Items, Sold Rings. 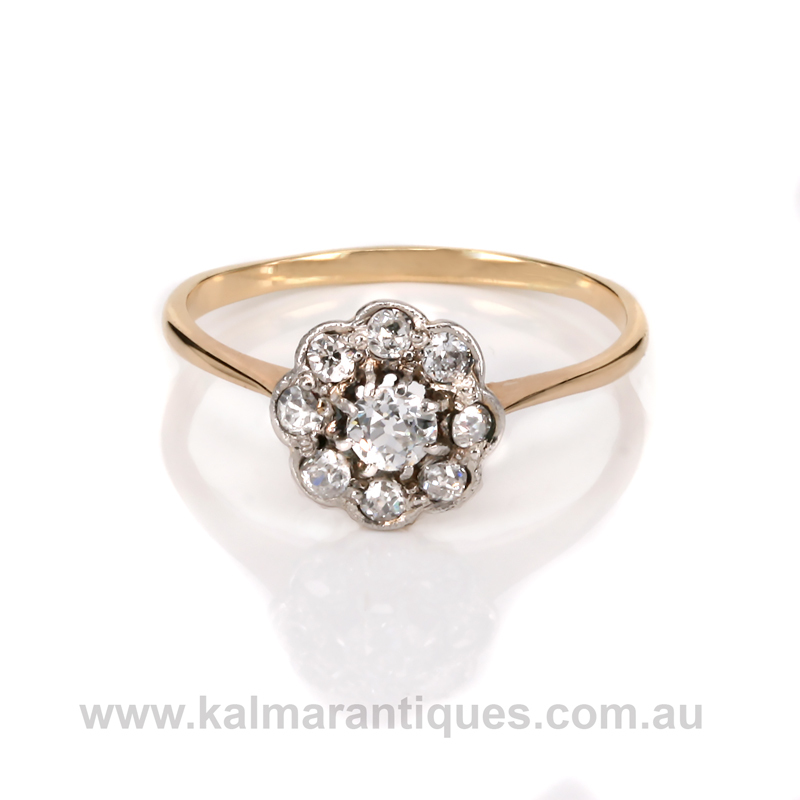 Elegantly hand made in the early 1900’s comes this beautiful antique diamond cluster ring that would also make a wonderful engagement ring, and one that looks as lovely and charming now as it did when it was made over 100 years ago. 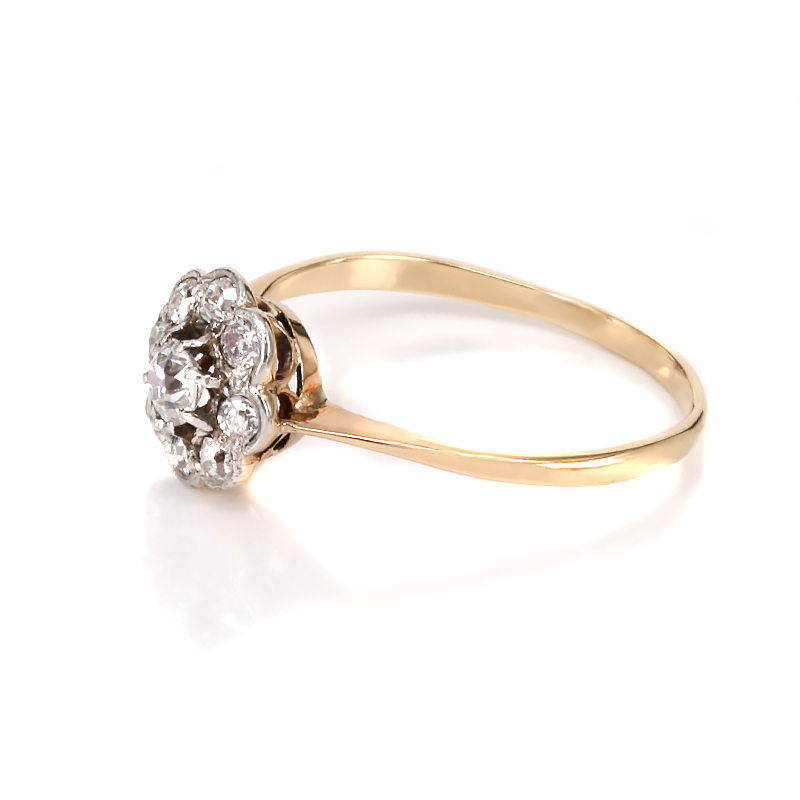 There is nothing quite like a genuine antique diamond ring on your finger and this one was hand made in 18ct yellow gold and set with one diamond surrounded by eight more. All the diamonds are the gorgeous European cut diamond which was a forerunner to the modern round brilliant cut diamond. Still with 58 facets like a modern diamond, the angles are different to a modern diamond and also have the charm of being cut by hand a century ago. All the diamonds combine to total 0.63 carats in weight and the diameter of the cluster is 9.5mm allowing this ring to sit perfectly on the finger. Suitable for any finger and occasion, this antique diamond cluster ring is just so elegant and beautiful.